Haridimos (Hari) Tsoukas was born in Karpenissi, Greece, in 1961. 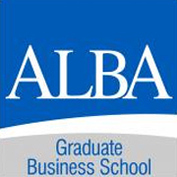 He received his education in Greece and the UK, and has held academic positions with the Universities of Cyprus, Warwick, Essex, and Strathclyde, the ALBA Graduate Business School, and the Manchester Business School. An (unhappy) engineer by discipline, Prof. Tsoukas migrated to the social sciences, and found his intellectual home in organization and management studies. He is not a philosopher but can’t help but see everything from a philosophical point of view. He is not a complexity scientist but can’t help but approach everything in terms of, Gregory Bateson’s memorable phrase, “the pattern that connects”. And he is not a politician but, as an engaged citizen, can’t help but be passionate about the affairs of the «polis». 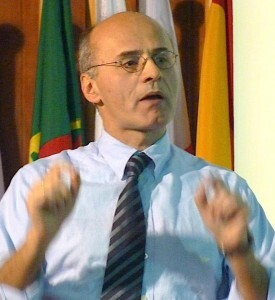 Author and editor of several books in English and Greek, his research publications have appeared in the most distinguished international journals of organizational and management research. He is best known for his contributions to understanding organizations as knowledge and learning systems, for re-viewing organizational phenomena through the lens of process philosophy, for exploring practical reason in organizational contexts as well as the epistemology of reflective practice in management, and for bringing insights from Aristotelian, Wittgensteinian and Heideggerian philosophy to organization and management studies. He was Editor-in-Chief of the leading journal Organization Studies and is the co-founder and co-organizer of the International Symposium of Process Organization Studies. Striving to be an active citizen, he regularly comments on Greek and Cypriot politics in national media, as well as on his Greek blog Enarthri Kravgi (Articulate Howl). In recognition of his “considerable, original and sustained contribution to his field at the highest international level”, Professor Tsoukas was awarded the Doctor of Science (D.Sc.) degree by the University of Warwick in July 2014. The Distinguished Researcher Award is presented to distinguished scientists carrying out in Cyprus research with high quality and international impact and recognition. Prof. Tsoukas received the Award (jointly with Michalinos Zempylas, Associate Professor at the Open University of Cyprus) from the Cypriot Research Promotion Foundation, in Nicosia, Cyprus. The Joanne Martin Trailblazer Award, presented once every two years, recognizes scholars who have taken a leadership role in the field of Organization and Management Theory (OMT) by opening up new lines of thinking or inquiry. A Trailblazer is a boundary-spanner and a conversation starter, someone who extends and builds the OMT community by shepherding new ideas and new scholarship, often in unconventional ways. Prof. Tsoukas received the Award from the OMT Division of the American Academy of Management, at the Academy's Annual Conference, Anaheim, USA. EGOS Honorary Membership was created in 1998 to honour and thank scholars who have made pioneering and lasting contributions both to the advancement of knowledge in the social sciences dealing with organization, organized and organizing, and to EGOS as an association. Prof Tsoukas was made the 18th Honorary Member of the European Group of Organization Studies (EGOS) at the 32 EGOS Colloquium in Naples, Italy. The D.Sc. higher doctorate, a form of lifetime achievement award, is awarded to academics who have shown a considerable, original, and sustained contribution to their field of scholarship at the very highest international level. Professor Tsoukas received his D.Sc. from the University of Warwick. An award for teaching excellence based on evaluations by the participants of the Warwick Business School MBA Programme. The Hellenic Society for Systemic Studies Award is given to individuals who have contributed significantly to the further development of systemic and complex sciences and their applications towards solving real-life problems. An award granted by the Athens Laboratory of Business Administration. 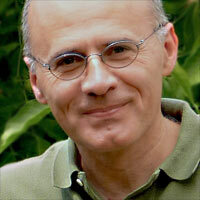 The 1997 President's Medal of the Operational Research Society was awarded jointly to Haridimos Tsoukas and D. B. Papoulias for their paper ``Understanding Social Reforms: A Conceptual Analysis``. A doctoral research scholarship granted by the Manchester Business School.